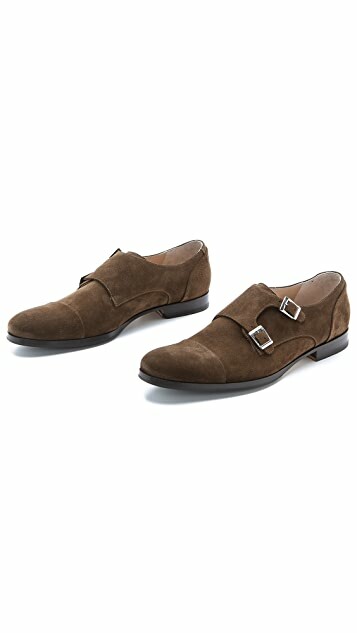 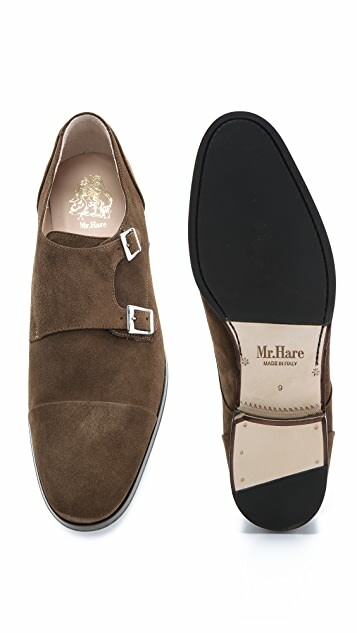 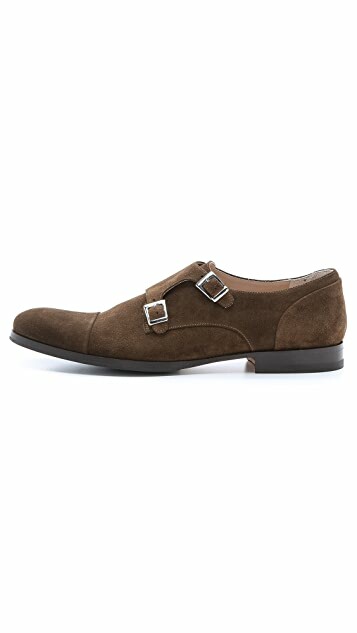 Modern Mr. Hare leather monk-strap oxfords. 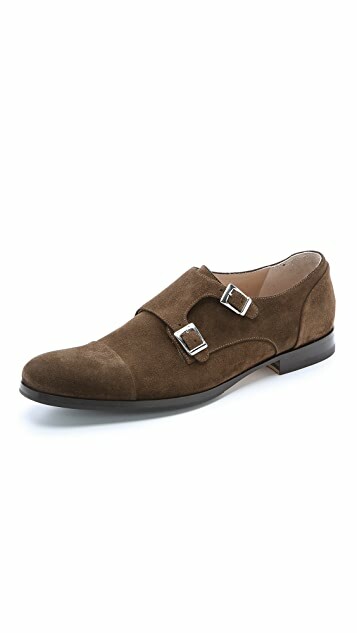 The structured suede upper and polished metal hardware create a modern look without sacrificing refinement. 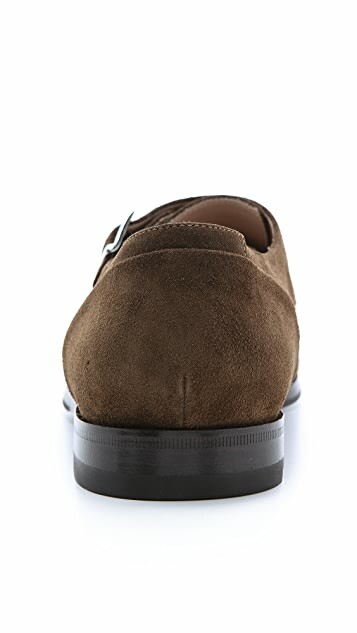 Welted to a rubber sole and stacked 1/3-rubber heel.